Ah, Birmingham. England’s second city. Throbbing heart of the industrial Midlands. Hub of England’s canal network. Gateway to the Black Country. Punchline to a million jokes for lazy comedians; here are some: Spaghetti Junction, Bullring, New Street station. Maybe that last one will no longer apply soon, as New Street station is in the throes of a massive regeneration. 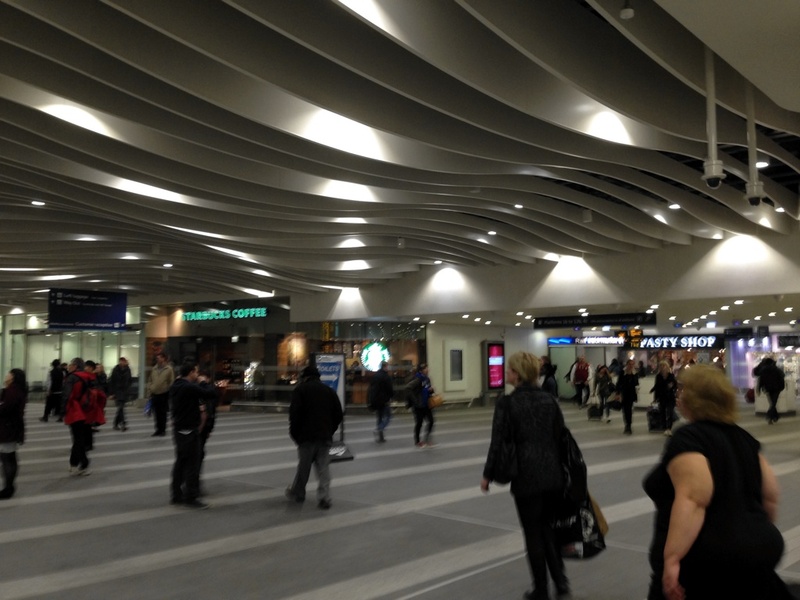 The first phase – the new ticket hall – is open, and impressed me with its attractiveness. 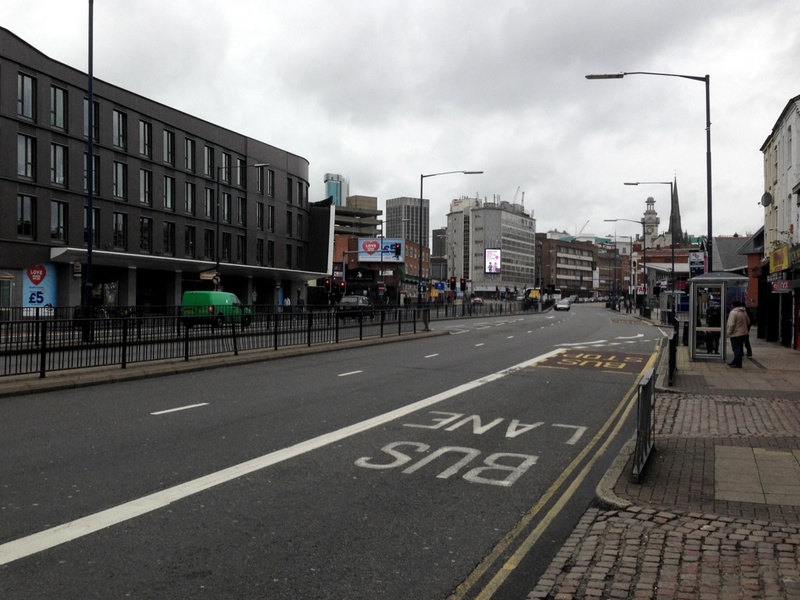 Not that it would be hard to improve on the old New Street building. I proffered my London Midland Great Escape ticket to the barrier staff, and hurried to find an exit to start my latest Station Master quest. One downside, for occasional visitors to the city like me, is that the layout of the station has completely changed, and the main entrance on New Street is closed for the foreseeable future, presumably to allow the ugly 1960s forecourt to be replaced by something that people will walk into willingly. I struggled to find the appropriate exit, but eventually emerged on the opposite side of the station to the one I needed. I had to walk right round the outside of the Bullring to get to Moor Street station, from where I followed the imaginatively named High Street out of the city centre. Poor Birmingham. It sold its soul to the motor car in the 1960s, a mistake for which it is still paying. Massive dual carriageways radiate from the city in every direction, bringing cars right into the city, where they get snarled up in immense traffic jams. The powers-that-be have belatedly realised, and the last couple of decades have seen improvements to rail services and the creation of the Midland Metro, but the car still rules supreme, unfortunately. My target was Bordesley, the first station beyond Moor Street on the Birmingham-Stratford line. 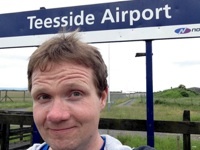 This was my second attempt to visit the station – a previous visit last year had been thwarted by overhead wire problems on the journey down from Liverpool. On that occasion, I had to console myself with a trip to Moor Street station instead – not a bad station to visit, but something of a consolation prize. Almost a year on, and I was ready to try again. 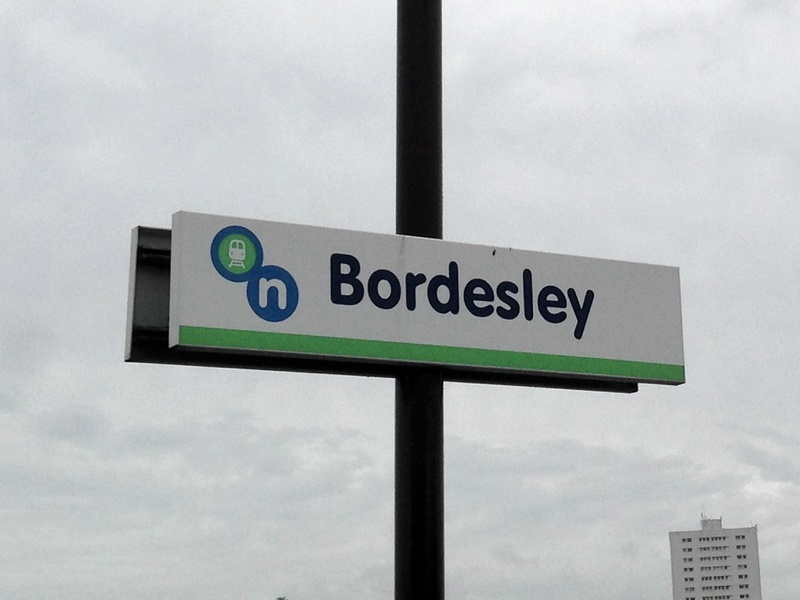 Bordesley receives precisely one scheduled train per week – the 1255 from Stratford-upon-Avon to Great Malvern, which calls at Bordesley at 1337 on Saturdays only. I had approximately 45 minutes to walk from New Street to catch it.